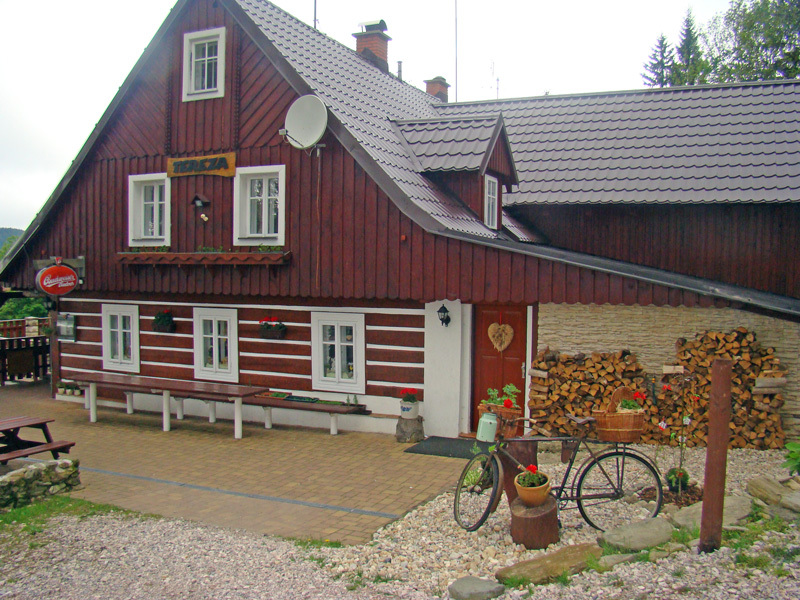 The mountain lodge “ Chata TEREZA “ is set above the village of Vitkovice . It looks like a typical mountain cottage. The facility is situated at the edge of the forest, at the southern side with a view to the valley, out of the most populated tourist areas but with the outstanding access to the most beautiful parts of the Giant mountains. You will find here peaceful relaxation and a very good environment during all seasons for a great price. We offer you a wide range of rooms where everybody can choose from the simple to very comfortable accommodation with a shower and a restroom in each room. The total capacity of our lodge is 48 people, we have a separate non smoking dining room for our guests to use. The restaurant is run irregularly during the year. Particular occasions can be discussed by phone. If you just stop by during your trip you can enjoy home made food of our restaurant with an undisturbed view to the countryside. Do not hesitate to call us to find out detailed information, actual numbers of available rooms and the services we offer.